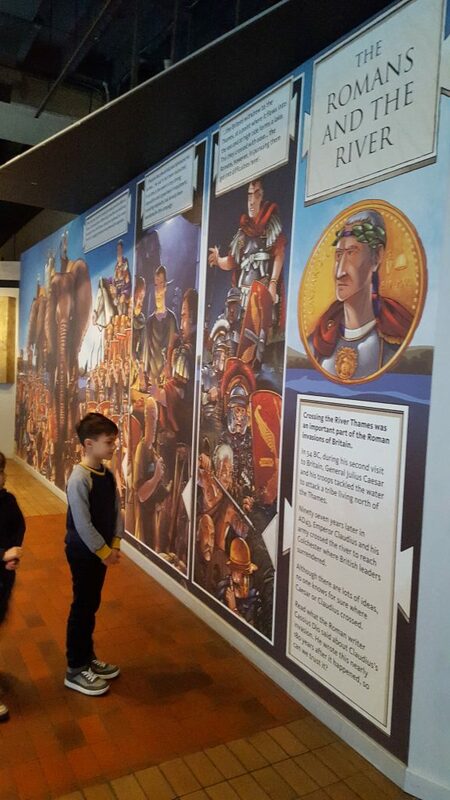 After half a school term learning about everything Roman, my 8 year old, Mr F, is obsessed! Having originally asked to go to Rome for the half term holidays (he’s obviously got the travel bug! 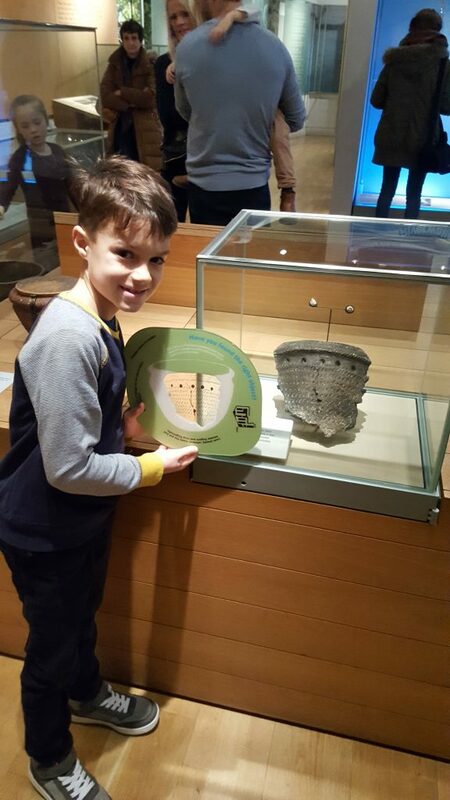 ), he thankfully excitedly accepted a day out in London, exploring its Roman past. 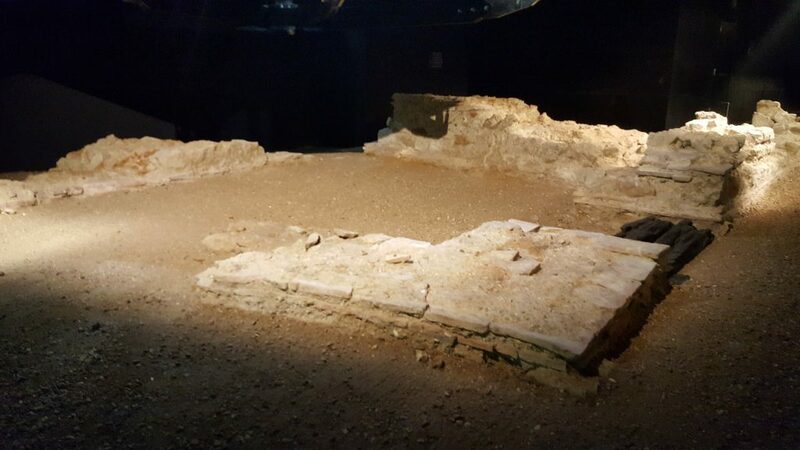 The obvious destination was The Museum of London, where not only do they have the Roman Gallery full of roman artefacts and replicas, but you can also find the remains of the London Wall outside. 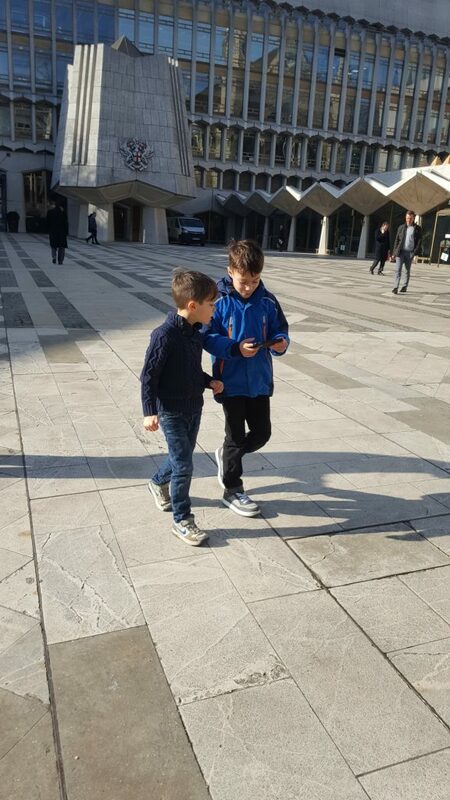 We also planned to visit the London Amphitheatre remains, below the Guildhall Art Gallery, which is a stones throw from the museum (I didn’t even know until recently that this was here so I was intrigued to learn more) and download the Streetmuseum Londinium App to do a bit of virtual Roman discovery too. I have to admit I was excited for this visit as much as the kids! I have fond memories of visiting the museum myself, possibly around the same age, on a school trip. I vividly remember running along the walkways outside with my friends, excited for our day ahead. 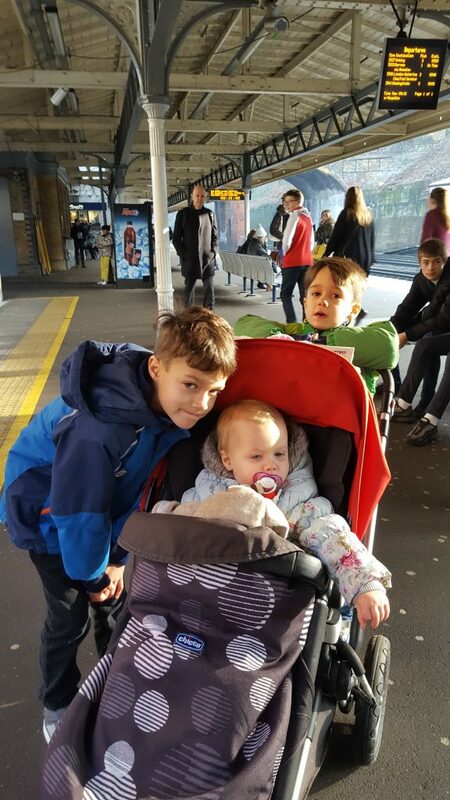 So on a very chilly Monday morning of half term, I packed a lunch and we headed off to the station to take a train into London. 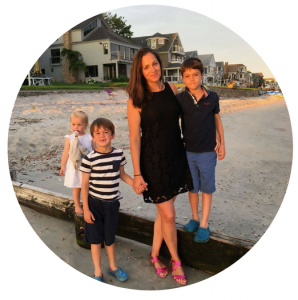 People often ask me how I manage to take three kids (well, two kids and a toddler) for days out on my own, but I have to say that for the most part it is fairly easy. If they are on top form, then they are a pleasure to be with. Obviously this is not always the case, and we have had a few disastrous days out along the way, but I haven’t let it put me off! They are also amazingly good walkers, and love exploring so they make it easy for me really. Back to the day out; we hopped on the tube and walked through the offices lined streets of the city until we reached the museum. I’d told Mr F to look out for the remains of the London Wall and so he was on high alert the whole walk. When he finally spotted it, he was super chuffed! Keen to discover more (and escape the bitter wind! ), we left the wall remains behind and headed into the museum. A day out with kids tends to come with a lot of paraphernalia, so I was pleased to find that the museum has lockers for visitors to use. 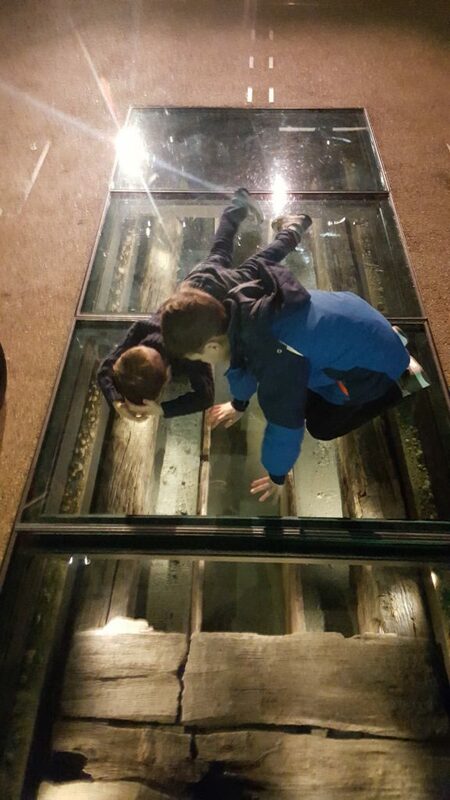 They work much in the same way as a swimming pool locker, except for the fact that when you open your locker your £1 is not returned, it is taken as a donation to the museum. We chucked our stuff into the locker and headed off to discover more about the history of London. 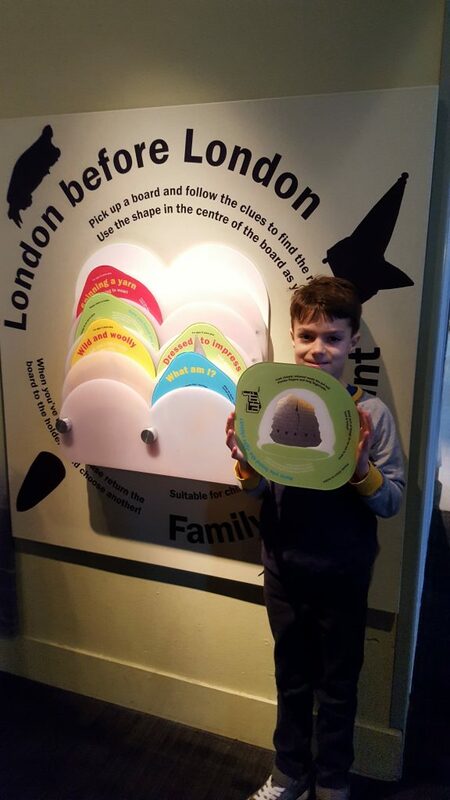 First we headed to the London before London section, where the boys had fun finding objects by following clues given on fun plastic boards, which depict the outline of the object in the middle. 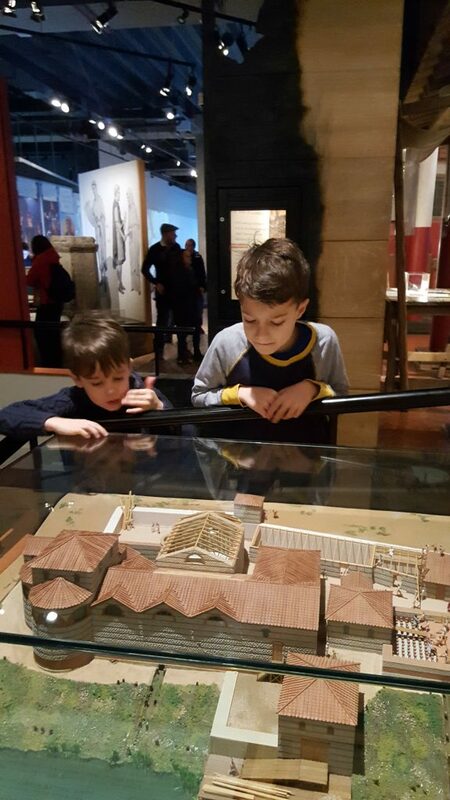 We learnt how the Romans lived, how they would have built the first bridge across the Thames and had a look at what the shops and houses would have looked like. 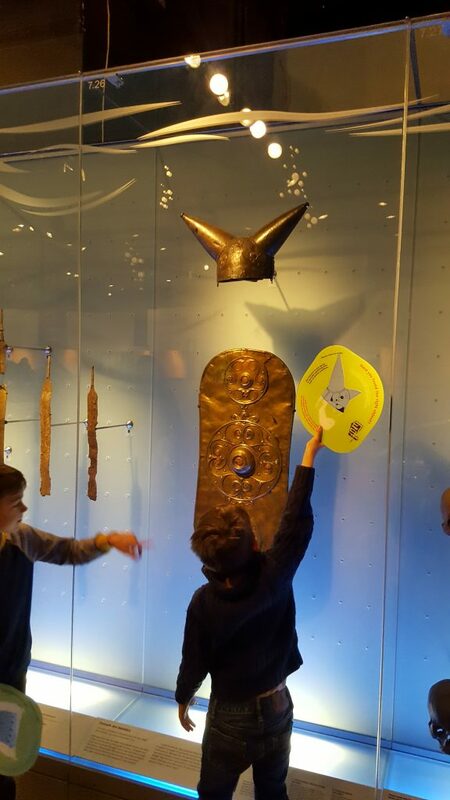 We also discovered the amphorae, or tall pots, used to transport mediterranean produce up to the Roman population in Londinium, the fantastic statues that have been discovered and an array of other super interesting artefacts. 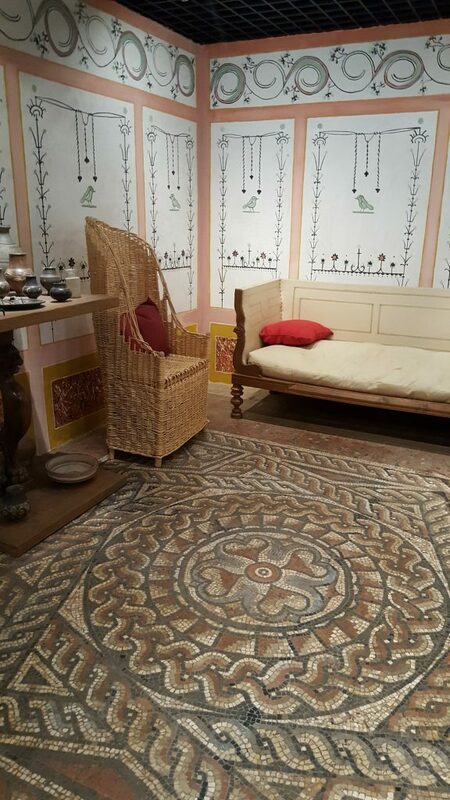 How the other half lived in Roman Londinium! 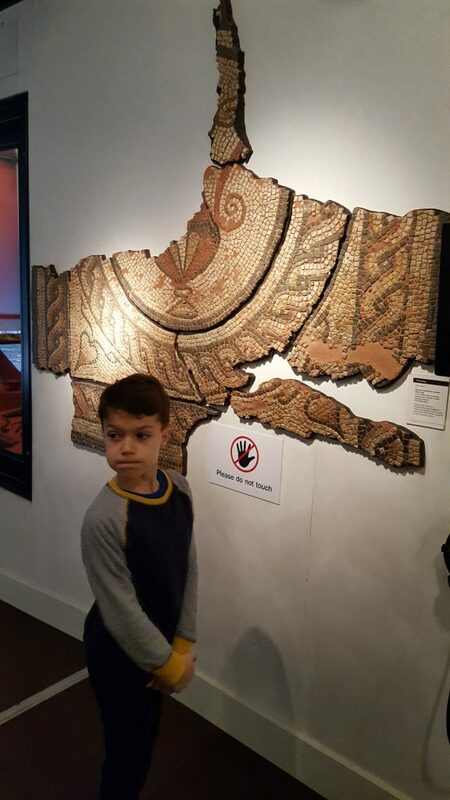 He just got caught touching the mosaic! Although very comprehensive, the collection isn’t massive and as Baby DaisLikeThese wouldn’t let us linger for too long, we were though the Roman display fairly quickly. 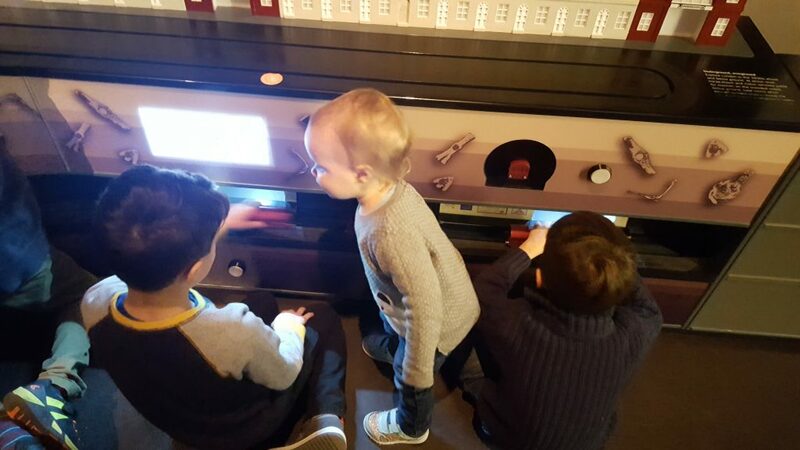 This meant that we had time to explore other areas of the museum before heading for lunch. 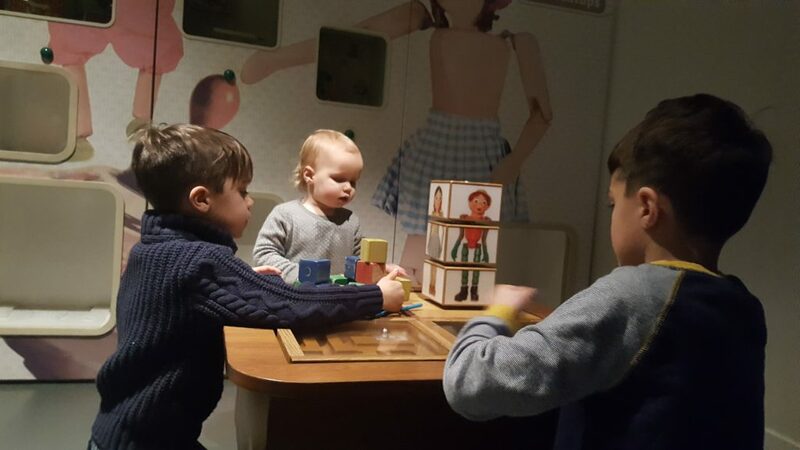 The kids enjoyed a few little play stops, including a London transport system set up with tube trains and buses, and a little corner dedicated to toys of the past (with Bill and Ben and Watch With Mother playing on a vintage television!). Baby DaisLikeThese loved the opportunity to get out and stretch her legs! 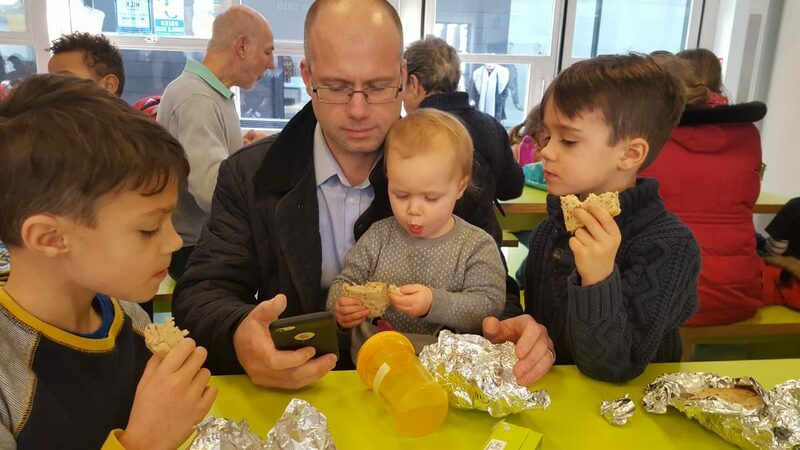 Mr DaisLikeThese met us for lunch, which we ate in the museum picnic room, and he downloaded the Streetmuseum Londinium app onto his phone. 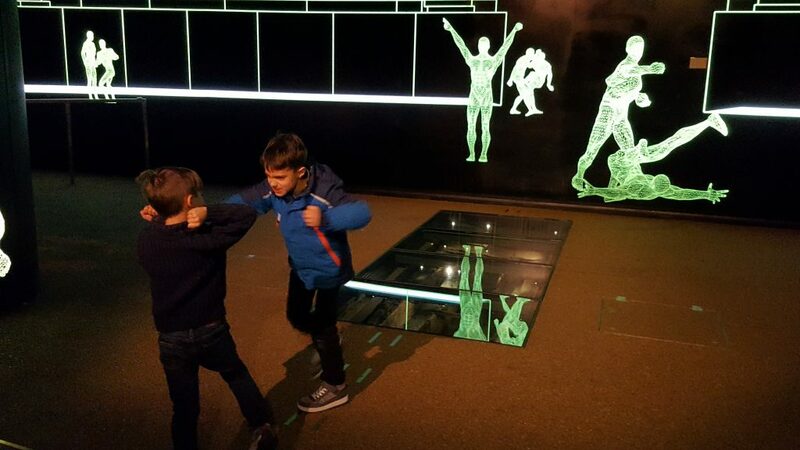 The app is an interactive way of discovering Roman London. 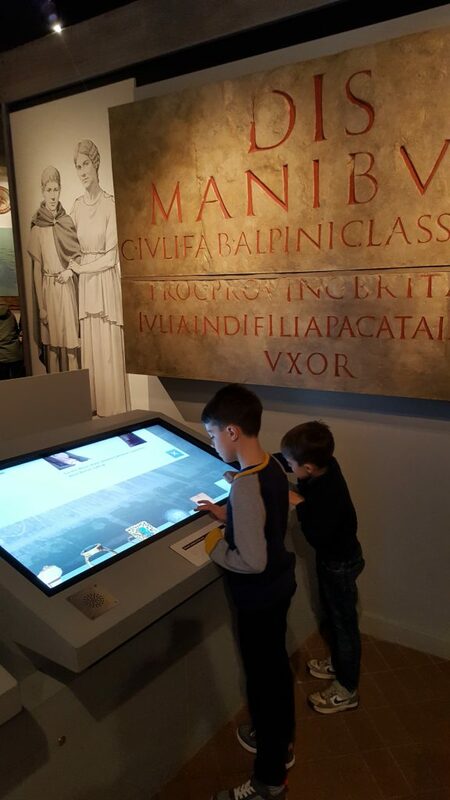 It directs users to Roman London locations where you can ‘excavate’ finds by swiping your fingers across the screen or blowing into the mic to reveal ancient artefacts where they were originally found. 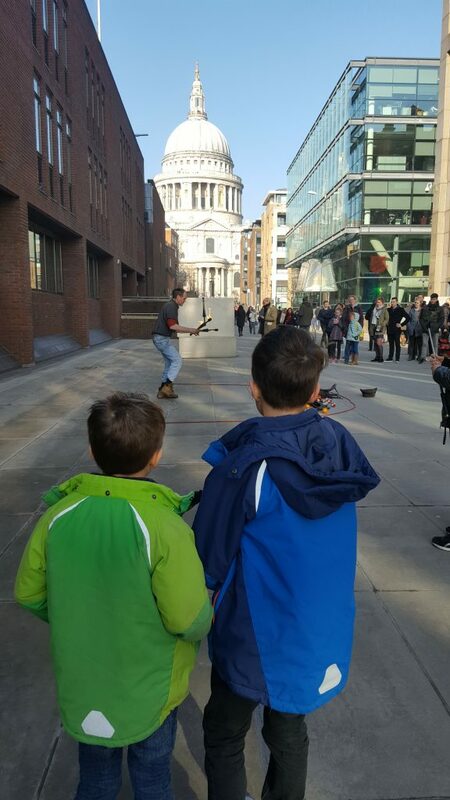 At certain sites it also brings a Roman scene to life, such as a gladiator battle at the Guildhall where the amphitheatre remains can be found. Mr DaisLikeThese works literally behind the Art Gallery, and over the years we have met him here for lunch countless times. I even worked at the Guildhall as a teenager, serving food and drinks at fancy dinners! So I am ashamed to admit that neither of us even knew that there were the remains of a Roman amphitheatre to be found here. 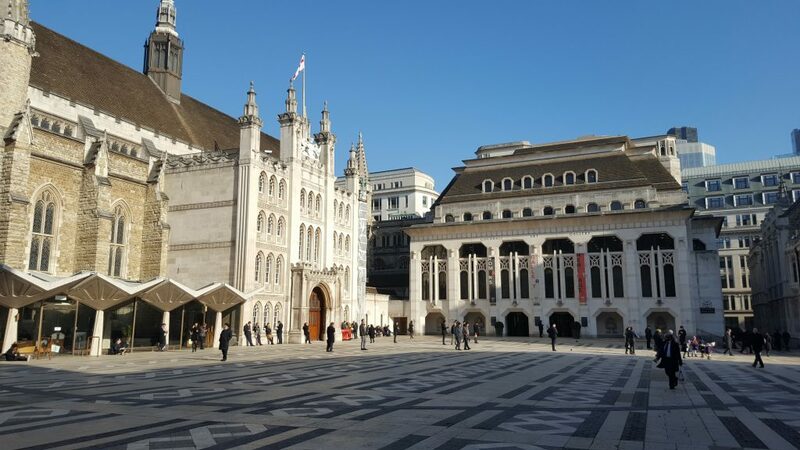 It was long thought that there must have been an amphitheatre built by the Romans in London, but there was no trace of it found until 1988 when the Guildhall Art Gallery was being redeveloped. It was then that they found the remains of an amphitheatre thought to hold 7000 people, who would go to watch bloody gladiator battles, animal fights and criminal executions. 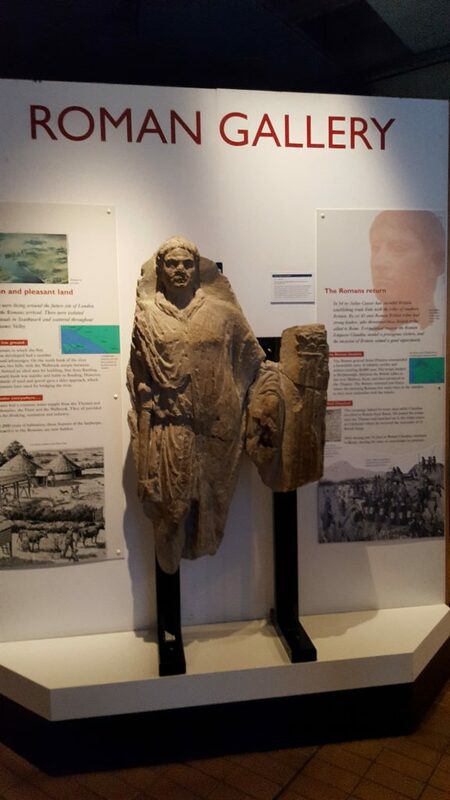 You can visit the remains, which are in the basement of the Guildhall Art Gallery, for free. Head down in the lift to discover the remaining walls of what would have been the entrance the arena, along with the remains of wooden drains which would have funnelled water out of the amphitheatre. As you can see from the pictures, we had the place nearly to ourselves! A stark contrast to the busy museum. 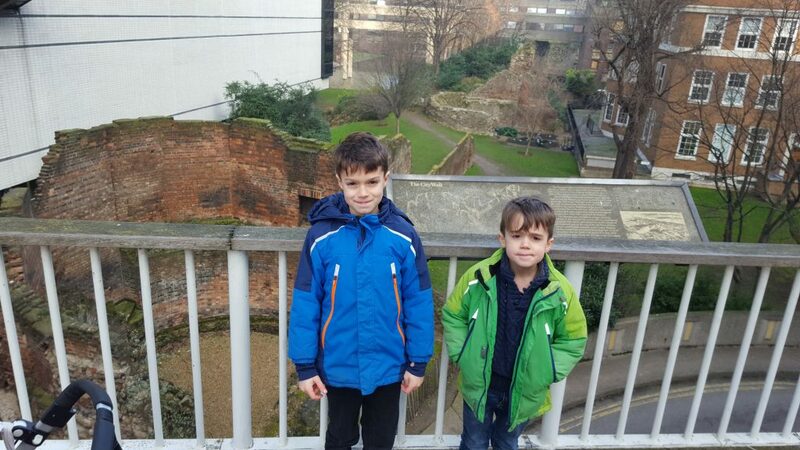 Our time discovering Roman London was over and it was time to head back to the station. 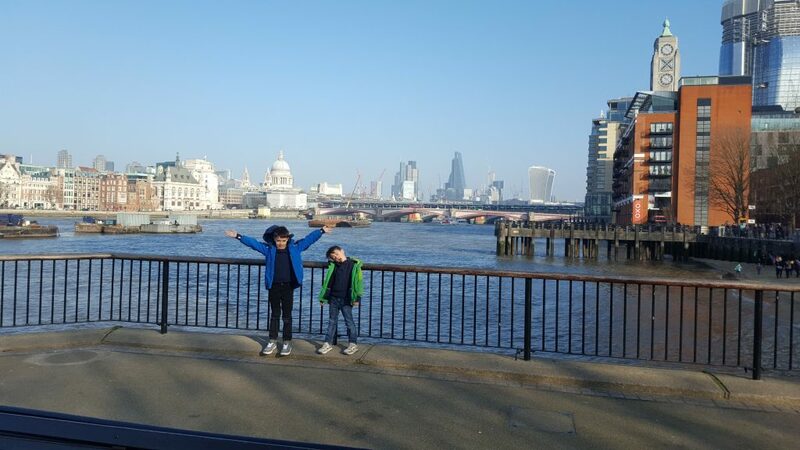 We took a walk along the river, taking in the sights of modern-day London and discussing what a Roman might think if he was magically transported forward in time to today! Watching a street performer juggle with fire! 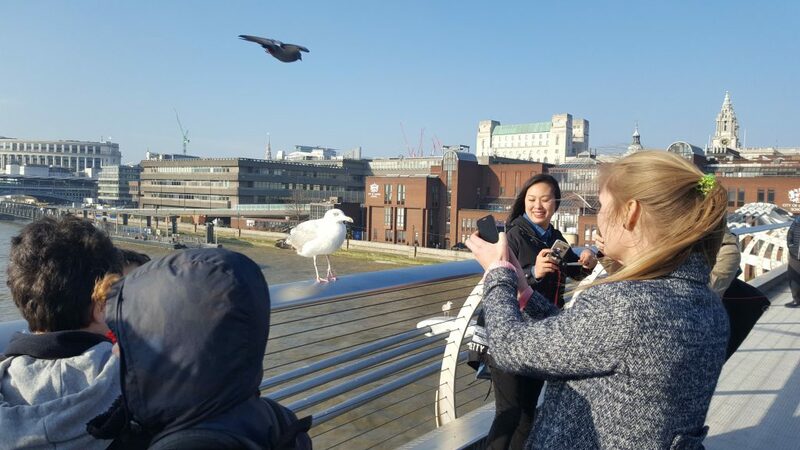 A seagull that loves having his picture taken! 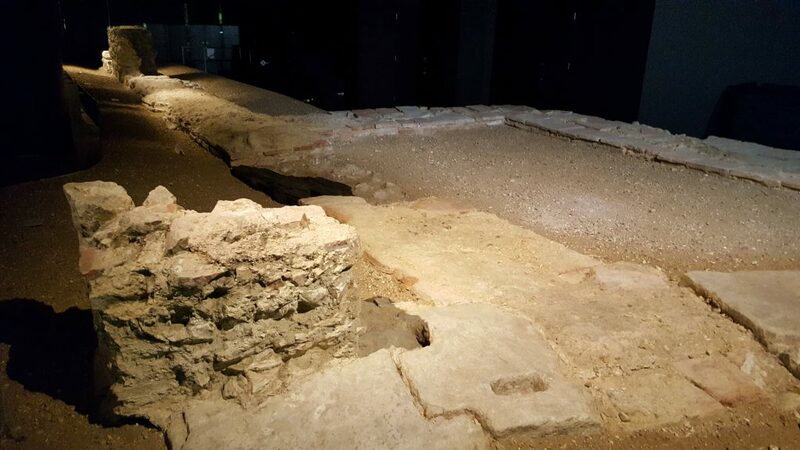 I’m sure there are many more amazing Roman sites in London – have you found any? I’d love to hear about them. 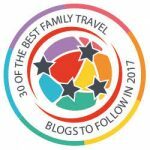 And if you’d like some more inspiration for days out in London, then make sure you check out the Suitcases and Sandcastles family travel blog. And Sarah from Kippers and Curtains also has a great selection of ideas of things to do in our fab capital city! 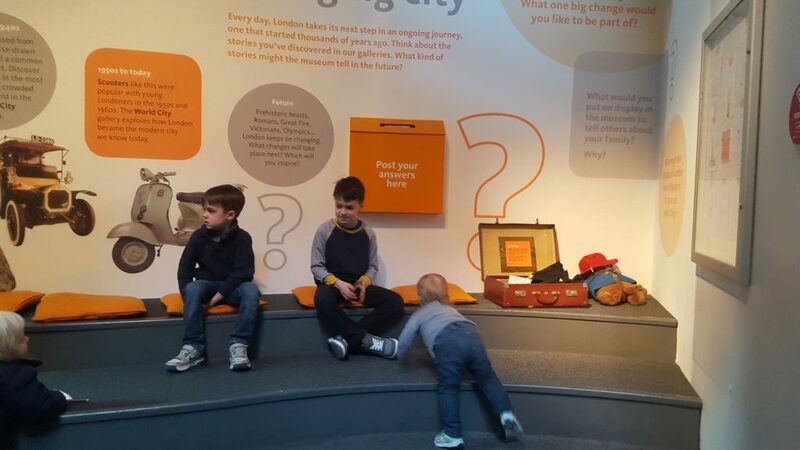 Creating memories with your children is brilliant, I remember many happy visits up to the Museums during Holidays. What a great day. The Lord Mayors carriage wasn’t there for our visit, off being repaired I think. I was looking forward to seeing it too! It really is! And I wasn’t aware of the Roman amphitheatre nearby, so that was a lovely bonus. 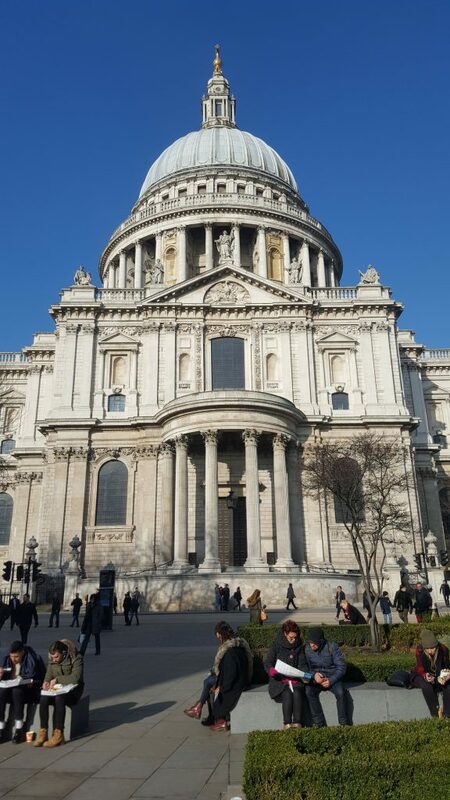 It really is a fantastic city full of history! 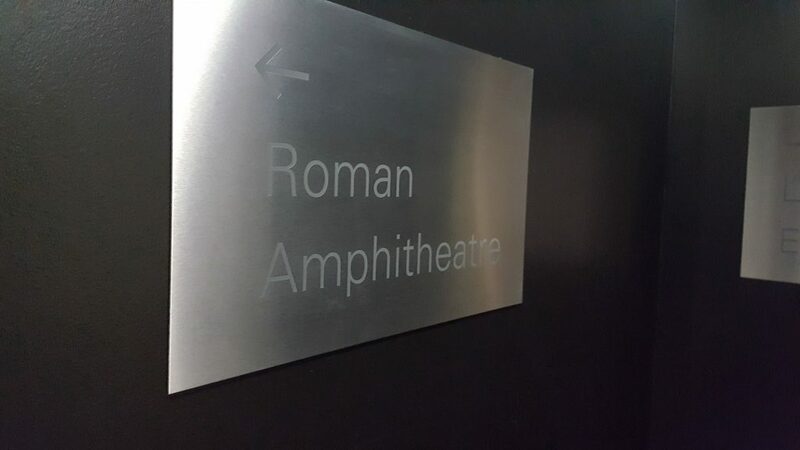 I definitely recommend the Roman section, it is worth a trip back for sure! 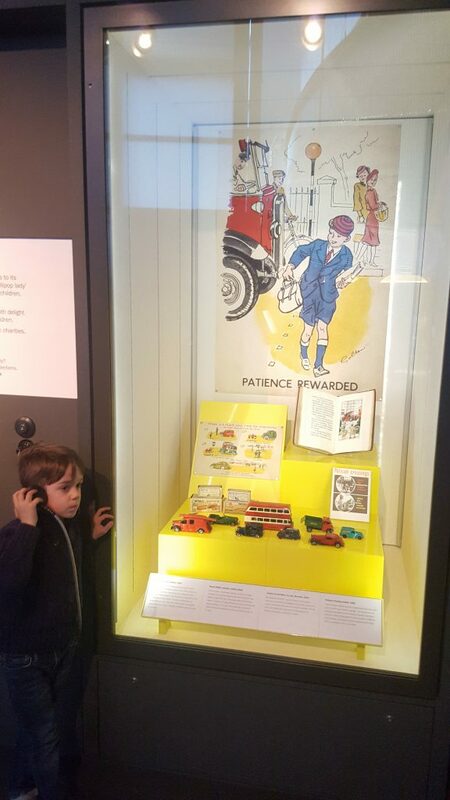 I do love the Museum of London. 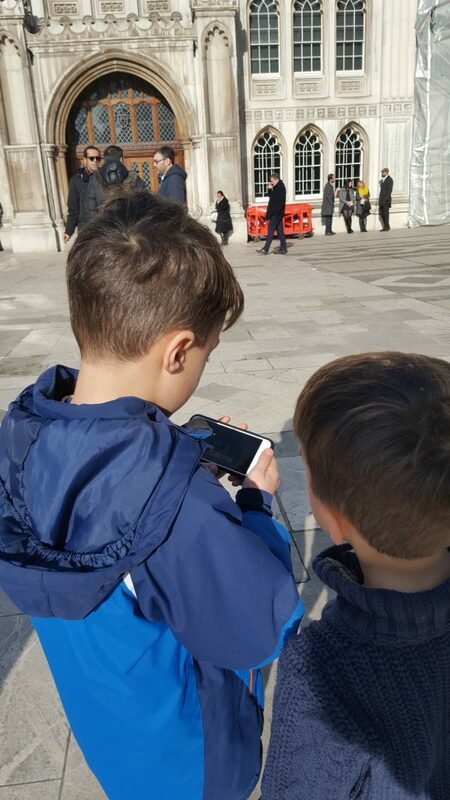 I’ve found it’s one of the best museums to visit with the kids – it’s such a manageable size, and everything in there’s relevant to us, as a London family. It’s good to know you had a good day, with your three! 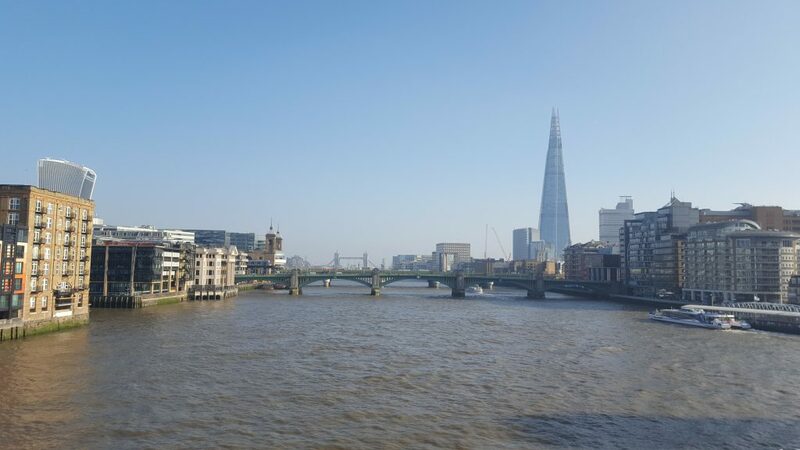 Such beautiful shots of London. Thanks for joining in with #CulturedKids.